Lately the financing world has been really screwy. Lenders change program requirements at the last minute all the time! This means for a normal purchase, this could delay the sale of your house. Keep in mind that anyone can write a cash offer, even if they’re borrowing money to purchase the property. So when you’re selling a house through a real estate agent to an end buyer… be prepared that if the buyers financing falls through… you’ll have to start the sales process all over again… adding more months to the process, more holding costs that you have to pay for, and more. 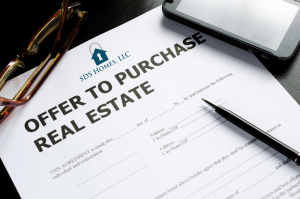 To avoid having the buyer pull out at the last second because of financing… one option is to sell your house to a local home buying firm like us here at SDS Homes, LLC. Often, qualified home buyers have access to multiple lines of credit with public and private lenders that is secured by other assets. You’ll have to do some due diligence to make sure you’re dealing with a qualified local home buyers. Qualified home buyers like SDS Homes, LLC will have no problem providing you access to bankers and references who can verify the home buyers ability to close quickly on the purchase. But how do I get a cash offer fast? You can get a fair cash offer from us actually today. We’re always buying properties in the Temecula area, which we’re local to… then we either hold them as rentals for ourselves… or we’ll repair / remodel the house if it needs it and sell it to someone who can love and appreciate the house. If your Temecula property qualifies, we can buy your house fast. Call us now And We Will Give You A Fair, No Obligation, Cash Offer!